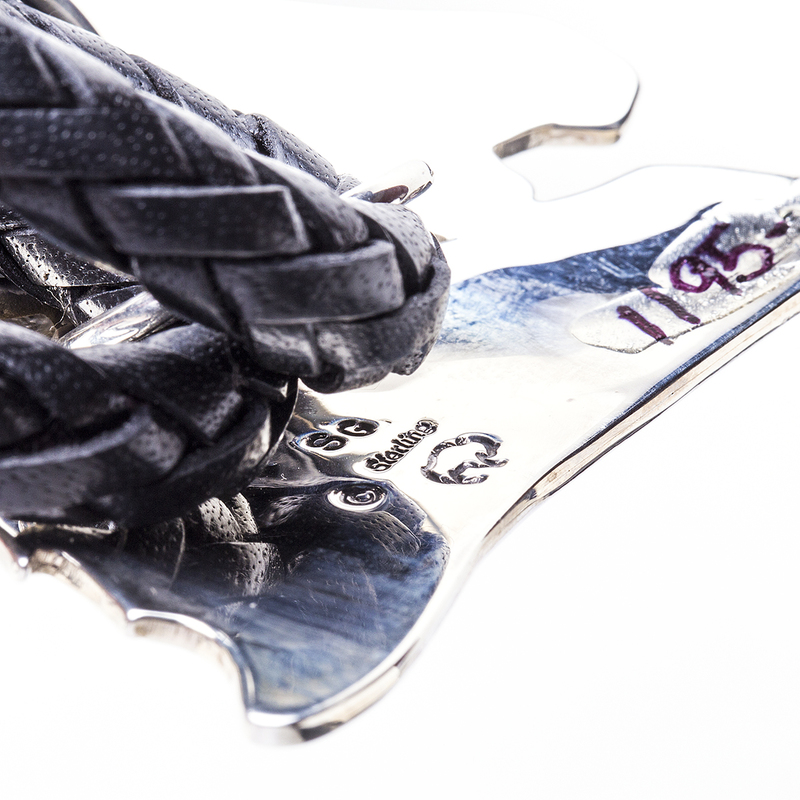 Handmade with the beauty of a wild Southwestern Stallion, this Sterling Silver Horse Bolo Tie is the perfect accessory to give your style the freedom of the horse! Handmade by renowned artist and in house Navajo / Zuni Silversmith Sam Gray! 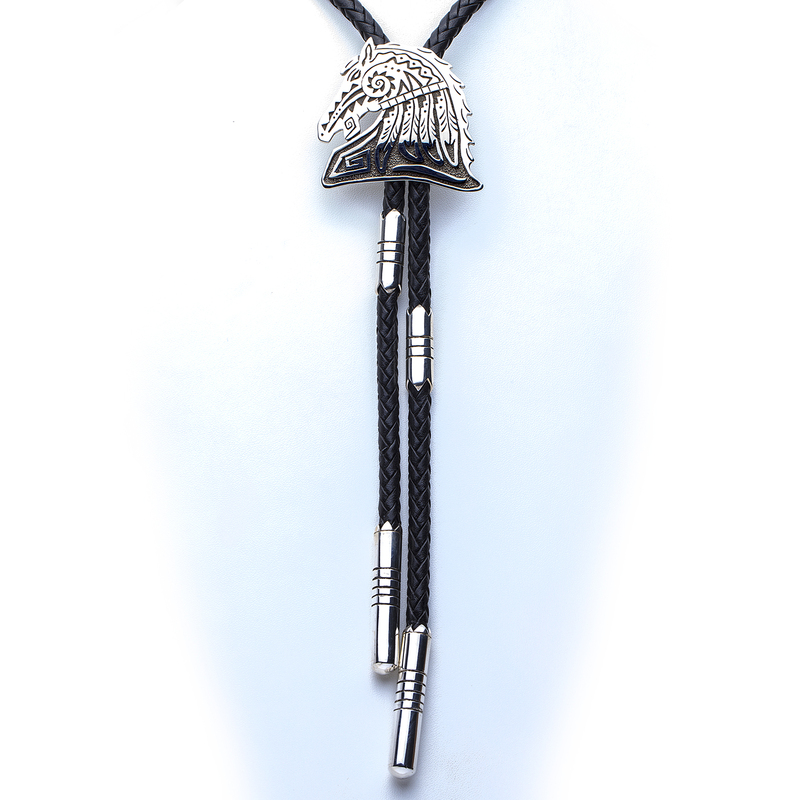 Bolo measures 2 1/4″ in height by 2 1/2″ in width with 2″ cord tips and 1 1/4″ ferrules on a 42″ black leather 8-ply hand braided lanyard. Hallmarked “SG” and “Sterling” with Sam’s trademark Buffalo stamp. Bolo with cord weighs 109.4 grams. 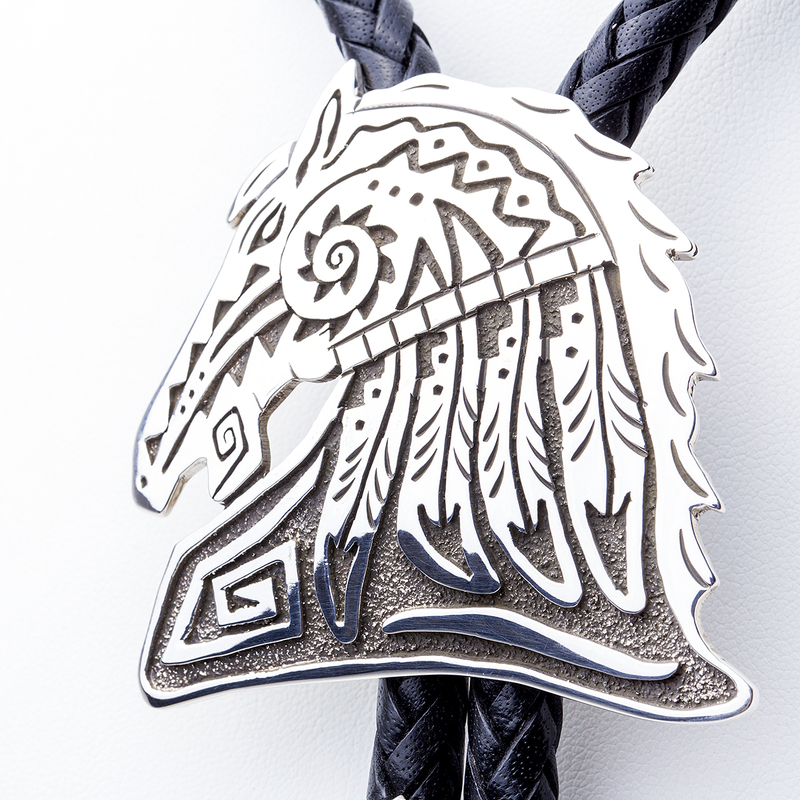 Navajo artist Sam Gray Horse Bolo Tie showcases delicately stenciled Sterling Silver Horse head handmade by our own in house Silversmith Sam Gray!